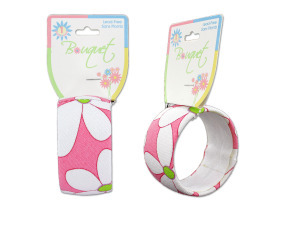 This fun bangle will add a colorful and feminine accent to her favorite outfit. Pink fabric features a floral design. Measures 3" in diameter.